Reconciling imperfection and religion with Tica Douglas. The very first seconds of Tica Douglas’ LP, Our Lady Star of the Sea, Help and Protect Us, aren’t music. You can hear chirping birds in the distance, and a low, low rumbling resembling a train passing by or perhaps an amp switching on. These slight, unintended imperfections pop up throughout the next hour or so. There’s the wailing horn in the background of “It Moves Me” and the traces of a forgotten guitar solo in “Death Comes in Three.” There’s the scratchy tape hiss at the beginning of “The Same Thing” and the harmonies on “Weightless” that blur between human and instrument. But this lack in conventional production was what Douglas was subconsciously striving for when recording Our Lady, their third full-length album and first on the iconic-early-aughts indie label Team Love. “The recording process for Lady Star was different than my other records — we did over the course of many months, and tried to emulate a little more the demoing process,” they noted. “I learned that what I had been guarding about my demos wasn’t some idea of ‘sparseness’ (which I’d previously thought) but had to do with allowing imperfection into performance — mostly by playing the parts myself, by taking time and reflecting on what should be there, and not adhering to rules about what a song should or shouldn’t do — if a part is introduced for a second, never to return again, that’s fine, it can achieve something special, if it works.” The result is a contained record drenched in warmth, an intimate experience that gives way to a limitless, existential conversation of Douglas’ place on the Earth. Douglas, who grew up in Maine, dots the first mark in their artistic timeline with the song “Seventeen,” a song that came together from the most inspiring of emotions - heartbreak. They had always tinkered with songwriting but began to work on it more seriously in their later teens and early twenties, most notably while they were living in Scotland during college. Douglas reflects on this time as swelling their urge to write and perform music, especially in juxtaposition to New York’s difficult environment to survive as an artist. “That just purely, based on audience attentiveness, and readiness and willingness to be able to spend your time consuming and making music - it was so much more alive there than anywhere I’ve been in the states,” they reminisce. 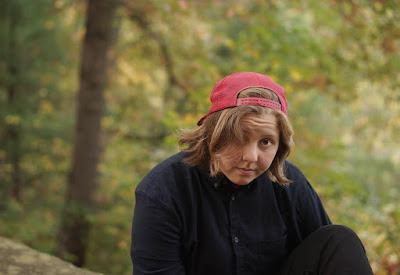 Douglas’ career eventually led to their breakout sophomore album, 2015’s Joey, which deviated from relationship struggles and instead was heavily filled with Douglas’ coming to terms with their gender and identity. Douglas has identified as non-binary for many years, and Joey acted as a concrete manifestation of this journey . The music that accompanied the message matched the more definitive narrative - there are few, if any, accidents, and it’s beautifully tidy. Douglas ended up recording the album within a single week at a barn in their home state of Maine with a group of guest musicians and a producer. But after its release and press cycle, Douglas still found themselves searching for a way to recreate the magic that stemmed from the early, lo-fi demos of the songs. Listen to Tica Douglas on bandcamp.